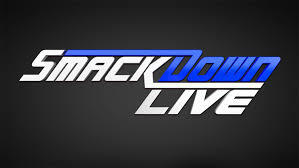 – It was nice to see SmackDown Live’s 900th episode fall during the Survivor Series go-home week. In the realm of tradition and nostalgia for the blue brand, there was also a purpose. The opening video nicely “relived” various highlights from past talent like Eddie Guerrero, King Booker, Edge, JBL, Booker T and Stone Cold Steve Austin. The DX Bus explosion was shown as was the infamous Gore by Rhyno that took Chris Jericho through the original oval set. It seamlessly transitioned into current storylines where we saw hype for the WWE Intercontinental Championship match between Champion Dolph Ziggler and The Miz, the return of Edge in “The Cutting Edge” and a “Date With The Deadman,” The Undertaker. How lovely. Certainly beats Raw. – The opening onstage promo from SmackDown Live Commissioner Shane McMahon and General Manager Daniel Bryan was short and sweet, as they hyped the crowd up with mentions of Edge and Taker before we learned that the IC Title match would start the show off. – The WWE Intercontinental Championship match between The Miz and Champion Ziggler already had big Survivor Series implications, as the winner would defend against Sami Zayn. If Zayn won, the belt would go to Raw. On top of that, this gave us the next installment of this great feud. As many times as Ziggler/Miz have worked together, they completely refined their in-ring chemistry with this recent feud. No different here. This had ample TV time to create some magic, though not quite in No Mercy territory. Some great near-falls, particularly with Ziggler’s Fameasser. Miz also did a great job as he mocked Bryan’s “Yes!” kicks. Another awesome near-fall where Ziggler kicked out of the Skull-Crushing Finale. Things became more dramatic when Ziggler hit the Zig Zag and Miz put his foot on the rope at two. Ziggler also sold the hell out of a Figure Four attempt to get to the ropes. Eventually, Miz had too much on his side to falter, as The Spirit Squad interfered on his behalf, before Maryse physically rolled him over on a small package to get the best of Ziggler and take his Title. A surprise finish, but it created the more favorable Miz-Zayn match that’ll mean more for Survivor Series and it also created the need for another rematch between Ziggler and Miz over the belt, presumably at TLC on Dec. 4. – The backstage segment with Alexa Bliss, Bryan and Natalya presented the logical scenario where Bliss showed Bryan video evidence that her foot was on the rope at the conclusion of her Title shot loss. We then learned via Bryan that this was the fifth time she showed him the footage and the Referee’s decision was final. This then led to talk of Survivor Series and in walked “Coach” Natalya with a whistle as she quoted The Chumbawumba’s “Tubthumping.” Unknowingly of course. At least Bliss’ disgusted reaction made this work. – The Oney Lorcan-Kalisto match was a logical squash to build Kalisto for his big shot at the WWE Cruiserweight Champion Brian Kendrick at Survivor Series for the chance to bring the belt and division to SmackDown Live. They also briefly reminded us that Kalisto was the reason that Baron Corbin had to drop out of Team SmackDown. Lorcan of NXT fame was allowed a rapid spurt of offense, but that fizzled quickly. Unfortunately, it was Kalisto’s slip off the ropes that we’ll remember more than the Salida Del Sol that ended the match, but the idea was worth it. At least Lorcan tried to cover it up with a pinfall attempt to “appear smart.” Was this a one-off for Lorcan? Time will tell. – The backstage segment with WWE SmackDown Tag Team Champions Heath Slater/Rhyno, The Hype Bros., The Usos, American Alpha, Breezango and King Booker was the best form of comedic nostalgia of the night. The gist of it was that Slater/Rhyno brought in Booker as a motivational speaker. Hearing Booker’s accent reminded us of TNA’s Broken Matt Hardy nowadays, but obviously Booker came first. Breezango served as the reason for Booker to break out his more classic catchphrases. It did seem odd for the once-aggressive Usos to lead the room in a chant for Booker, since it went against their heel personas. – The Nikki Bella-Carmella match had the backstory of their long-term feud headed in. We were impressed with Carmella’s performance, as she smartly targeted Bella’s recovered neck. There were multiple times where she held a submission on the neck and held the hold until four after the break. The floor spot was also well-done, as Carmella came off like a savage. Before Bella could spark a true comeback, it became more about brand supremacy. WWE Raw Women’s Champion Charlotte came down in the crowd to sit in the front row with a purchased ticket. That’s all it takes for Raw talent to show up? Ha. The Champ taunted Bella as she called her from her seat, which eventually prompted Bella to toss Carmella into the barricade and tossed Charlotte over to the floor. The Referee threw the match out, as Bayley, Sasha Banks, Dana Brooke and Nia Jax of Team Raw came down to all assault Bella. This brought out WWE SmackDown Women’s Champion Becky Lynch, Bliss, Natalya and Naomi to even the score for a nice pop. Jax tossed around various ladies before she crashed through the barricade. We also saw Naomi hit a nice cross body off the top rope. In the end, it was the SmackDown women who banded together to clear Team Raw out of there. Carmella ended up coming to Bella’s aid and even Bliss stood strong with the babyfaces. Traditional around Survivor Series, but effective for the hype. – The 16-Man Tag between The Headbangers/The Spirit Squad/The Vaudevillains/The Ascension and The Usos/AA/Breezango/Hype Bros. had its obvious Survivor Series hype. Lots of action in a shot span, but despite the Hype Bros. standing out in a good way, the crowd was most into Slater/Rhyno, who merely watched from the sidelines. Only one instance where The Usos had a face-off with Jason Jordan, but besides that, they were pseudo-faces once more. The Referee barely contained things as they went down to a rapid-fire finish. The Usos hit their classic stereo planchas to sell the moment and Grand Amplitude ensured that AA got the pinfall. Another message that the SmackDown Live Tag Division were on the same page. – The closing “Cutting Edge” in-ring segment with Edge, WWE World Heavyweight Champion AJ Styles, Dean Ambrose, James Ellsworth, Bray Wyatt, Shane and The Undertaker was fitting, though maybe lackluster in retrospect. Firstly, Edge had his moment where he got to embrace the fans and relive his epic entrance. It also helped he reverted back to his classic long hair and beard. We could also easily believe him when he put himself over as “bleeding blue.” He also put Ellsworth over at the expense of Styles, who got to play the pest heel. We had another brief argument between Ambrose and Styles. There was also a cool moment where Edge spoke to Orton, his former partner in Rated RKO and expressed that he didn’t know what happened to him ever since he let Wyatt take over. Ambrose also set a declaration that he’d gun for Styles after Survivor Series. We then finally got Taker (and his long entrance) as he praised Shane for being fearless, announced that “Mania wouldn’t define him” and was “back taking souls and digging holes.” Yup, a return. We guess that’s all well and good. His appearance seemed to be enough to set Team SmackDown on the same page, while to also warn them of trouble if they lost. Good story to tell headed into Survivor Series. Posted on January 19, 2017, in WWE and tagged AJ Styles, Alexa Bliss, American Alpha, Bayley, Becky Lynch, Bray Wyatt, Breezango, Carmella, Charlotte, Dana Brooke, Daniel Bryan, David Otunga, Dean Ambrose, Dolph Ziggler, Edge, Heath Slater, James Ellsworth, JBL, Kalisto, King Booker, Maryse, Mauro Ranallo, Naomi, Natalya, Nia Jax, Nikki Bella, Oney Lorcan, Randy Orton, Rhyno, Sasha Banks, Shane McMahon, SmackDown Live, The Ascension, The Headbangers, The Hype Bros., The Miz, The Spirit Squad, The Undertaker, The Usos, The Vaudevillains, Tom Phillips. Bookmark the permalink. Leave a comment.